Ultrasonic cleaning is the best method for giving your equipment a thorough, safe, and effective deep clean. 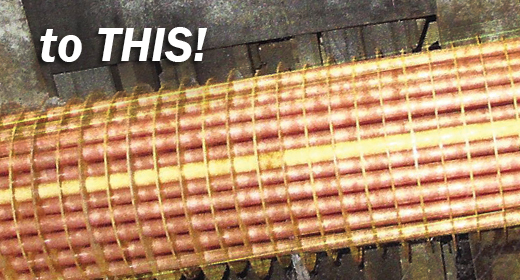 The process is simple, affordable, and safe for your exchangers! Trust our experienced staff and contact us today! All manufacturing equipment needs cleaning at some point so it’s essential to find the right company for the job. At Jumpy Man's Industrial Cleaning, we respond to our clients’ needs in a professional, efficient, and timely manner - all while keeping your equipment safe during the entire cleaning process! We provide modern ultrasonic cleaning technology for power plants, refineries, steel mills, and other service industries by removing tar, grease, and other contaminants using this thorough and gentle system. Ultrasonic cleaning is the best non-invasive method for cleaning your heat exchangers and it is performed using the latest technology available. Our approach is a little different than our competitors because we keep you, your business, and your equipment in mind during the entire cleaning process. We don't use water blasters, harsh chemicals, or other dangerous cleaning equipment because we know that your exchangers need special care to maintain their proper functions. Our soundwave technology cleans every nook and cranny without putting your equipment in danger so you can rest assured that your equipment is in good hands with Jumpy Man's! Our ultrasonic cleaning process is thorough, efficient, and gentle on your exchangers! Read about the technology of this system below. Ultrasonic cleaning is performed with equipment placed in a liquid bath. This liquid is then subjected to an ultrasonic sound which creates sound waves throughout the bath. These waves create tiny, microscopic bubbles that attached to the equipment and subsequently collapse due to the frequency of the waves. These bubbles essentially implode on themselves and then carry away any debris or contamination from the equipment. The dirt is then partially dissolved with a cleaning agent that gets rinsed away. This cleaning effect is also known as “micro-scrubbing” or “electronic brushing” because of its thorough performance. The cleaning process is also extremely gentle, leaving the surface of the equipment - and all other areas - unharmed. Your equipment needs to be taken care of and cleaned properly. Ultrasonic cleaning is the best way to get a thorough clean while maintaining the safety of your equipment. The ultrasonic cleaning process is able to get into those tough to reach areas such as blind holes, knurling and grooves, leaving it completely free of contaminates. Because it works using sound waves, your equipment can remain assembled. Keeping units in one piece saves time and gets the job done quickly and efficiently. Microscopic bubbles ‘burst’ the dirt particles away in a liquid bath, ensuring that all areas are cleaned with sound wave activity. This eliminates extra manpower, saving you time and money. Because the cleaning agents are gentle, your equipment will return to you unscathed and without any metal degradation. When it comes to your equipment, you need to work with a company that is reliable and one that you can trust. Jumpy Man's Industrial Cleaning will get the job done right, on time, and to your standards. We are able to handle any size equipment and can transport to and from your facility and ours, making the entire process as easy for you as possible. We have a thorough understanding of the ultrasonic cleaning process and have the know-how to perform the job effeciently, correctly, and on time. 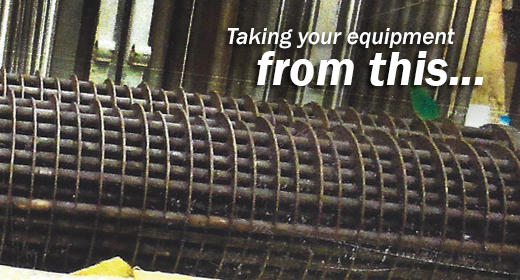 We work with all types of heat exchangers and can perform multiple cleanings at our large facility. 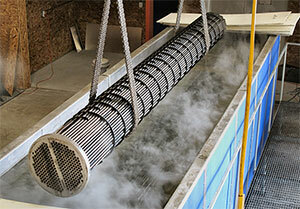 We have the most up-to-date ultrasonic cleaning technology and equipment to perform the process. To contact us or request a quote for your ultrasonic cleaning, please fill out the following form.